Today, I'm excited to share with you a new brand and website design! 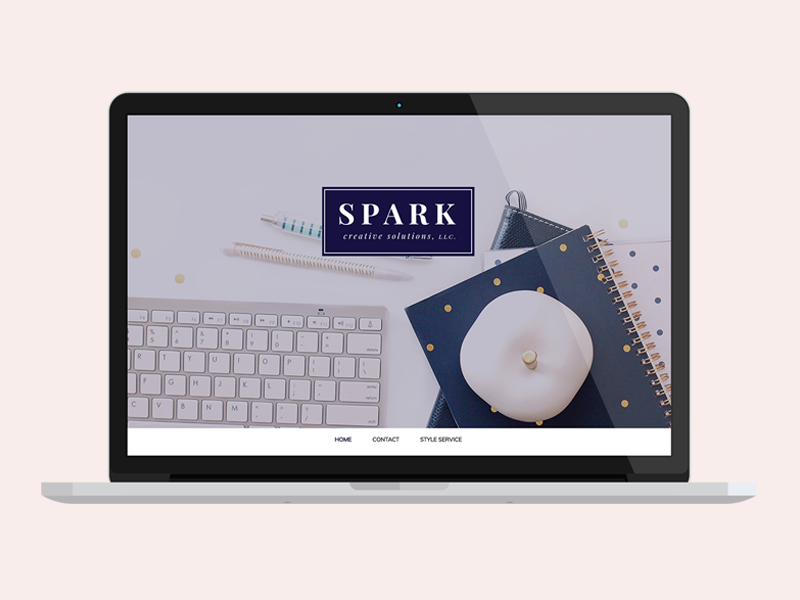 I've been working with Becca and her business, Spark Creative Solutions over the past few months to create a feminine, professional brand and web presence. Spark Creative Solutions helps connect business owners with vendors for their various projects. This is a unique project in that we not only created a professional design for Becca's business, but we created a secondary blog to support her passion project, fashion and personal brand styling. Take a look below! It was important that the logo and brand design could appeal to a variety of businesses as Becca works with a range of companies. For the website, Becca needed a simple landing page to share more about the services she offers. When Becca decided she wanted to branch out and start a fashion blog and side business around personal branding - we knew we wanted to keep the color scheme the same so that both websites fell under the "umbrella" of Spark Creative Solutions, but remove the "corporate" constructs we were operating under for the primary brand design. We also put together easy to edit books so that she can gift her style clients an overview of what they worked on together. "Working with Becky has been amazing as always. She helped me come with up several options for the direction of my brand and together we came up with the best solution for what my goals were!"